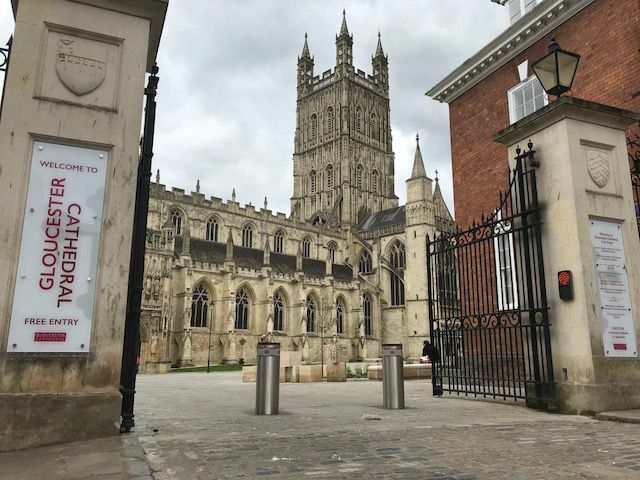 Macs Automated Bollard Systems are pleased to have successfully completed the installation of the new automatic rising bollard system at Gloucester Cathedral. Being one of the finest medieval buildings in Europe, and attracting over 300,00 visitors per year, Gloucester Cathedral were looking to transform the Cathedral Close into a multi-functional, open green space, to be used for ceremonies and other events, as well as a place for relaxation and contemplation. As part of the wider Project Pilgrim, the security and traffic flow leading to the Cathedral Green was addressed, and an automatic bollard system was requested. Funded by both the Heritage Lottery Fund (HLF), and the generosity of Trusts and individuals, Project Pilgrim is a ten-year programme of development and regeneration in and around the Cathedral. The culmination of years of planning by the Cathedral, the project aims to expand the use of the Cathedral Green, and restore parts of the magnificent eleventh century building, with the intention of providing opportunities for people to learn about, and interact with, Gloucester Cathedral. Macs are proud to be one of the leading suppliers of automatic bollards used on ecclesiastical buildings around the UK, and are committed to providing only the highest quality products for perimeter protection and security on applications and buildings of such historical and cultural importance. Working in conjunction with the main contractor, idverde, Macs were able to supply the automatic security bollards required to meet the requirements of the Cathedral. The key to the system was to ensure the bollards offered a high level of security, whilst not detracting from the historical importance and visual appearance of the Cathedral and the surrounding area, or affecting it’s use as a place of worship. During the installation, and the wider project, the works were subject to a full-time archaeological watching brief, with Macs working alongside a team of archaeologists and the idverde construction team to reduce unnecessary disruption, and ensure the preservation of items of religious, historical and human importance. Used to control and restrict traffic flow through the gates and into the Cathedral Green, the bollard system is operated in several ways, such as manual command by members of Cathedral staff, and by way of authorised access using both a GSM hub, and RFID proximity reader. With the Cathedral being open to the public 365 days a year, the reliability of the bollard system was of the upmost importance, and Macs commitment to customer satisfaction meant we were able to deliver the product, and reliability, the project required. For more information on the installation, or to discuss the different types of security bollards available, call us today on 0161 320 6462 and we’d be more than happy to assist.